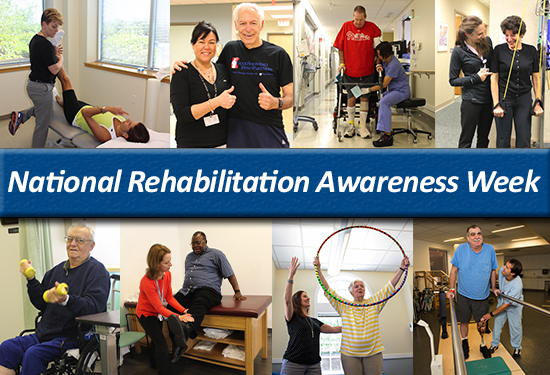 Sunday, September 18th through Friday, September 23rd, we will be celebrating National Rehabilitation Week. Created by the National Rehabilitation Awareness Foundation to spread the word about the benefits and impact rehabilitation has during recovery, this is a nation-wide initiative. Throughout the week, we will promote the value of rehabilitation, highlight the capabilities of people with disabilities, salute the professionals who provide rehabilitation services, and renew our commitment to our patients and each other. 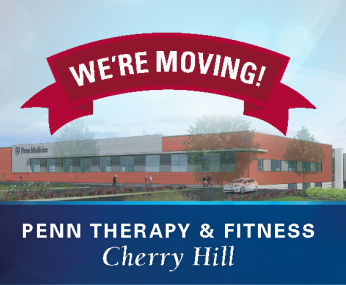 Penn Therapy & Fitness Cherry Hill is Moving! We're moving! Penn Therapy & Fitness Cherry Hill is relocating to the brand new Penn Medicine Cherry Hill, a 150,000 square foot, multi-specialty facility. Conveniently located less than 2 miles away from our current facility on Route 70 (Marlton Pike), our new location will be easily accessible and provide free garage parking. The new space will enhance our ability to provide the most comprehensive, patient-centered care available in the region. Aquatic therapy will also be availble for Penn Therapy & Fitness Cherry Hill patients, with the addition of our brand new therapeutic pool. Click here to learn more about our new Cherry Hill location! Join the Dan Aaron Parkinson's Rehabilitation Center for the 13th Annual Jean Feldman Memorial Rehab Conference on Friday, October 28th. 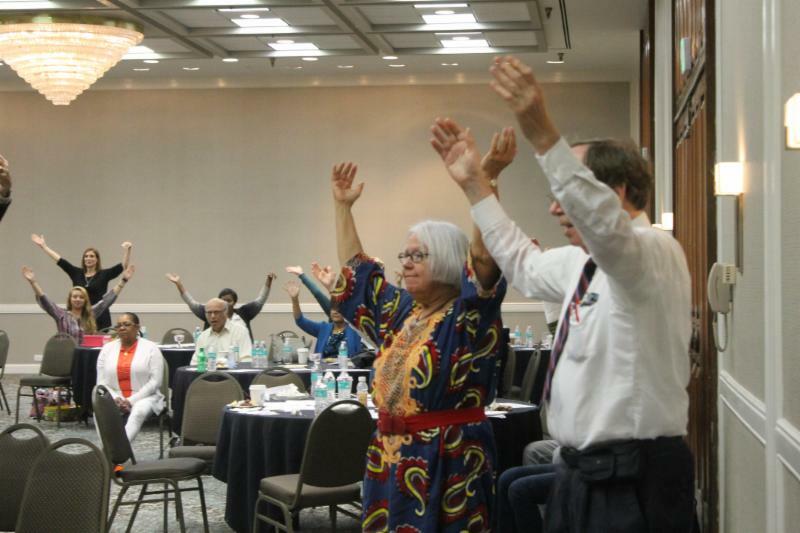 Individuals living with Parkinson's diseases and care partners are invited for a day-long learning session. This year's focus is how physical, occupational and speech therapy can help manage non-motor symptoms and improve life quality. Our keynote speaker will be Dr. Nabila DahodwalaTicket price is $25, and supports the Dan Aaron Parkinson's Rehabilitation Center. The event will take place at the Aloft Mount Laurel, in Mount Laurel, NJ from 9am-2pm.To learn more about the event and how to register, click here. According to the United Spinal Cord Association, 200,000 people are living with spinal cord injuries in the United States. 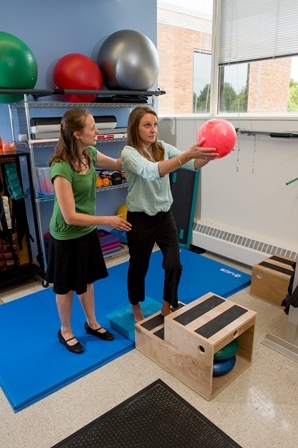 As a CARF-accredited provider, our Spinal Cord System of Care Program offers inpatient rehabilitation at Penn Rehab and outpatient rehabilitation atmultiple Penn Therapy & Fitness locations. Our spinal cord injury support group meets on the third Tuesday of each month, welcoming current and former patients, as well as community members. The group is led by Penn Rehab therapists and focuses on creating supportive peer relationships, getting people back into fitness while providing educational opportunities for individuals with paralysis looking to regain function and independence. Anyone interested in learning more about the spinal cord injury support group is encouraged to contact Lindsay Furlong, OT/RL, by calling 215-893-6324 or emailingLindsay.Furlong@uphs.upenn.edu. As an emergency room nurse at The Hospital of the University of Pennsylvania, Jessica Bradley, RN, BA, provides care to countless patients finding themselves in unexpected medical emergencies. But one morning on her way to work, Jessica found herself on the other side of patient care after falling face first onto concrete. "When I got to work, it became clear something was wrong. It was strange to not be acting as nurse but as a patient," says Jessica. "I've always been in the position of taking care of other people, and being cared for is a position I never thought I'd ever be in. It was very difficult having people take care of me." Read how Jessica was able to regain her life with vestibular and balance physical therapy at Penn Therapy & Fitness. Lace up your sneakers and join us for two upcoming community events this fall! 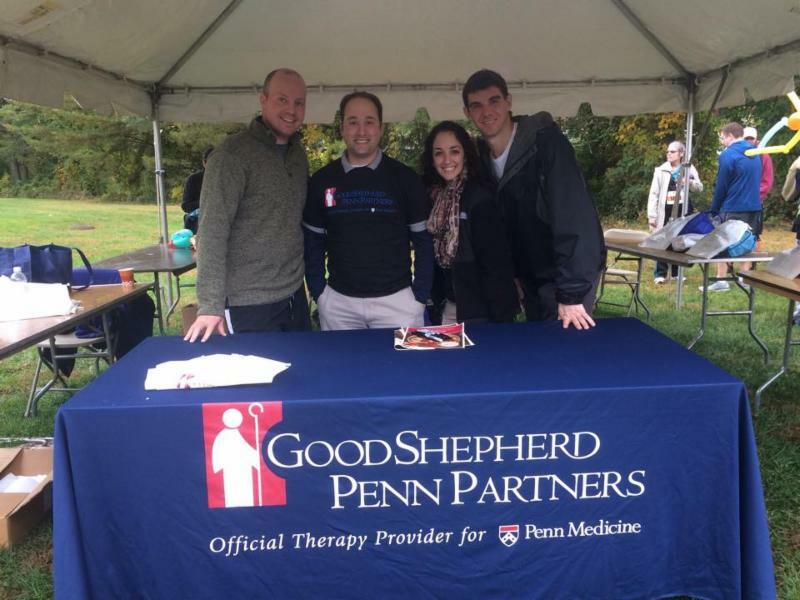 We are once again proud sponsors of the Radnor Run, which benefits the American Lung Association. Participants can register for a 5 mile race, or enjoy a 1 mile fun run/walk. To learn more about the event and to register, click here. Join us as we proudly walk with our Penn Medicine colleagues at the 2016 Heart Walk on Sunday, November 5th, which benefits the American Heart Association. The Heart Walk takes place over a three-mile walking route around Citizens Bank Park. Our goal is to help raise $1,000 to help Penn Medicine reach its fundraising target of $250,000. To join or create a team, click here. Below is our listing of support group meetings for September 2016. 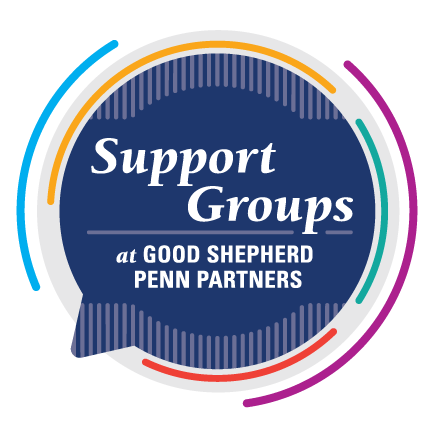 All of our support groups are open to the public, and take place at our Rittenhouse Campus.